Bokeh is a skill I’m still working on acquiring. It’s not as easy as it appears! Anyway, Katy brought home a case of these cute little aluminum coke bottles from school, and I knew I had to make a picture out of one. Very nice Lisa!!! I just discovered how to "follow" my friends on this blog.....sorry I missed so many of your pictures!!! Love the title pure genius, great shot too. 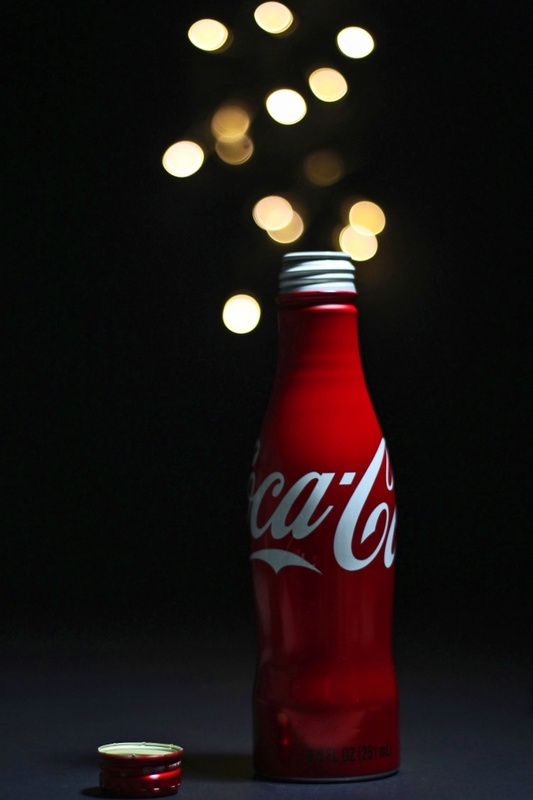 Bokeh cola! LOL! Very nice shot! You did well in my opinion. @erikadee Thank you! It wasn't exactly my original idea. I stole the concept from somewhere else, too! LOL... great composition. Nice one. Great job with the bokeh. This is beautiful and fun all in one. It's not as easy as it appears. Cool composition! Definitely not easy, but you're getting really good at bokeh. Love the cola bottle too! Saw this in thread, just brilliant!! Fave! @grizzlysghost Thanks so much! When my daughter brought this bottle home, I knew I had to use it.